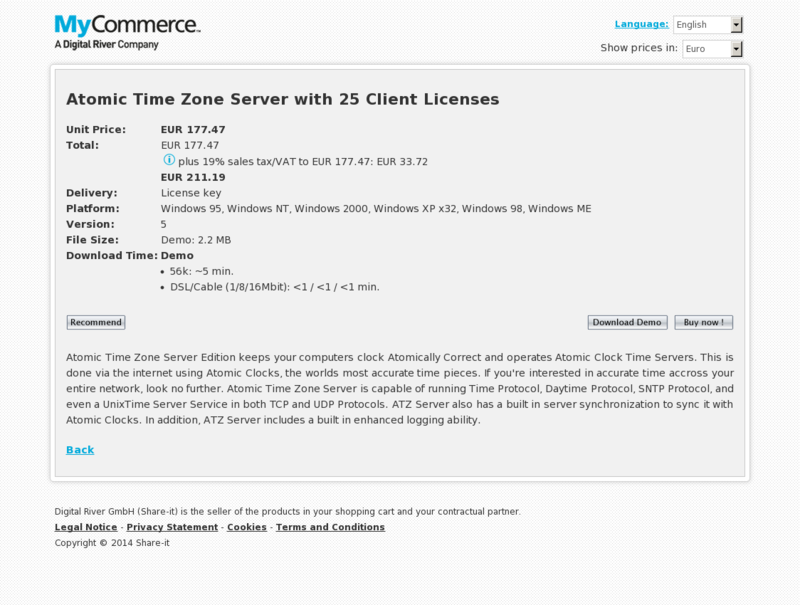 Atomic Time Zone Server Edition keeps your computers clock Atomically Correct and operates Atomic Clock Time Servers. This is done via the internet using Atomic Clocks, the worlds most accurate time pieces. If you’re interested in accurate time accross your entire network, look no further. Atomic Time Zone Server is capable of running Time Protocol, Daytime Protocol, SNTP Protocol, and even a UnixTime Server Service in both TCP and UDP Protocols. ATZ Server also has a built in server synchronization to sync it with Atomic Clocks. In addition, ATZ Server includes a built in enhanced logging ability.